If you're looking to find the best car shipping rates possible, you may want to consider using terminal to terminal auto transport services. While this method of auto transport is less ideal than door to door transport, it can save you a great deal of money. With this type of car transport service, you will drop off your vehicle at a car transport terminal and pick it up from another terminal in the destination city. This will require you to either get a ride or call for transportation to and from the terminals, which is a bit of a hassle. Therefore, you are giving up time in return for a reduced car shipping cost. 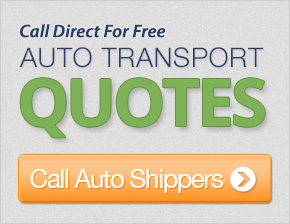 Terminal-to-terminal auto shipping is ideal for anyone who needs to drop their car off at a specific time. The driver will deliver the car when the schedule allows for it, so you don't have to wait around for the car to be picked up. The car will be shipped to a terminal in the destination city, where you can pick it up at your convenience. The main benefit of terminal to terminal service is the low shipping costs. With more flexible delivery times, you will save a great deal of money. In addition, you can pick up your car at your convenience, which is nice if you have a busy schedule, or you'll be out of town for an unknown amount of time.